A documentary on mod culture, featuring music writer Paolo Hewitt, Ocean Colour Scene’s Damon Minchella, Culture Minister (at the time) Chris Smith and lots of Vespas. 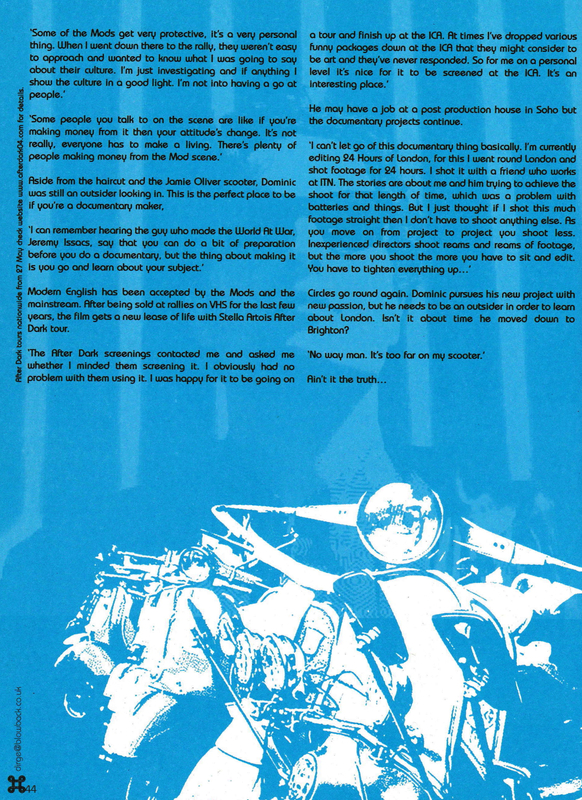 Here’s the text for the back cover of the VHS copies I sold to mod shops and through mail order. 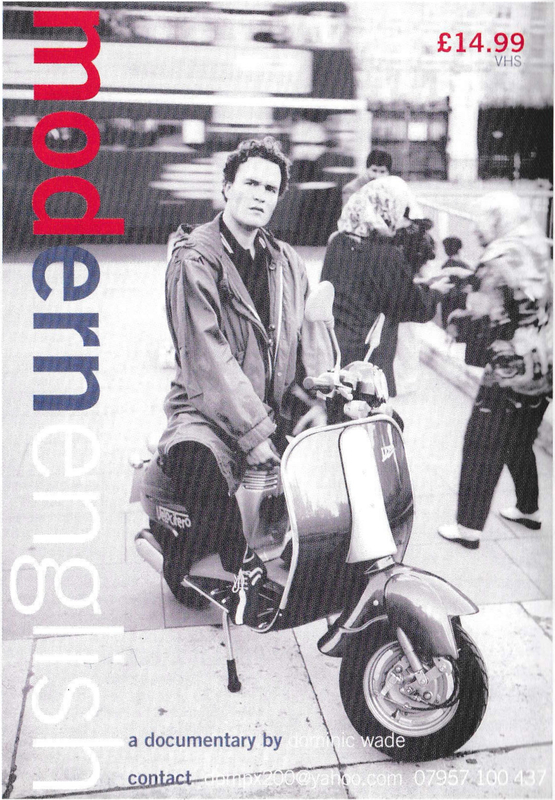 Modern English is a vibrant tour on the back of a Vespa, scooting through Mod culture from the fashion of Carnaby Street in the 60’s to the continuing force of such musical heavyweights as Ocean Colour Scene and Paul Weller in the new century. Director Dominic Wade serves up a slice of Mod attitude showing glimpses of a way of life that has influenced more than we care to realise. Here’s some cuttings and press, from my extensive library. 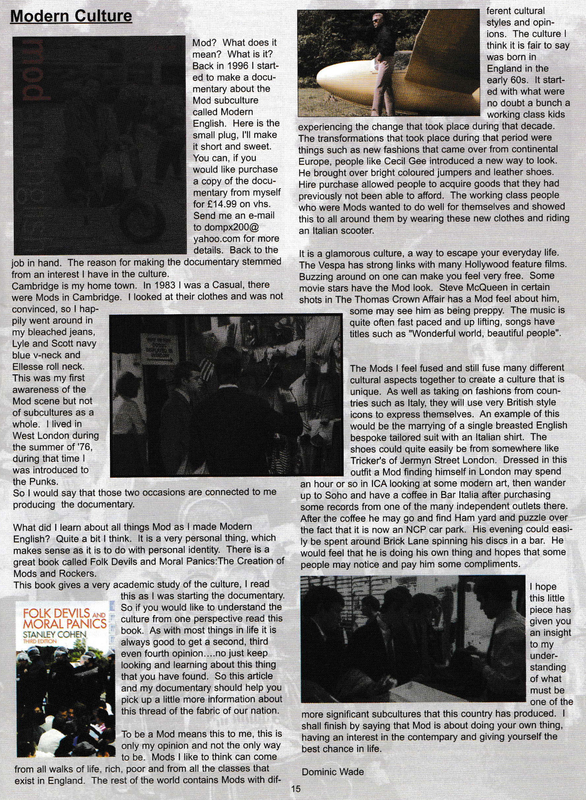 First up, an interview that I did with Blowback magazine in May 2004. 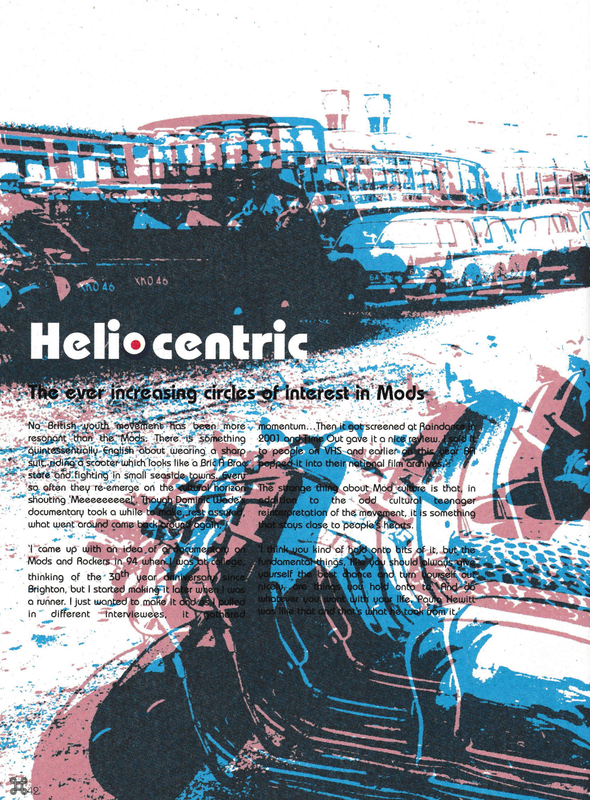 I wrote an article on Mod culture for fanzine On The Scene in 2005 (with a tasty little plug for Modern English included, of course!). 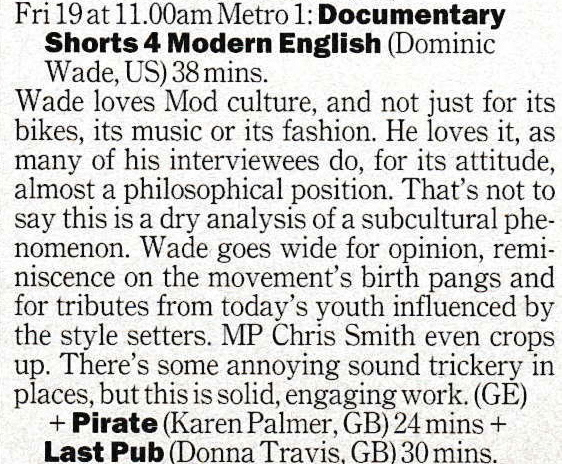 A very nice review from Time Out for the Modern English screening at Raindance in 2001. 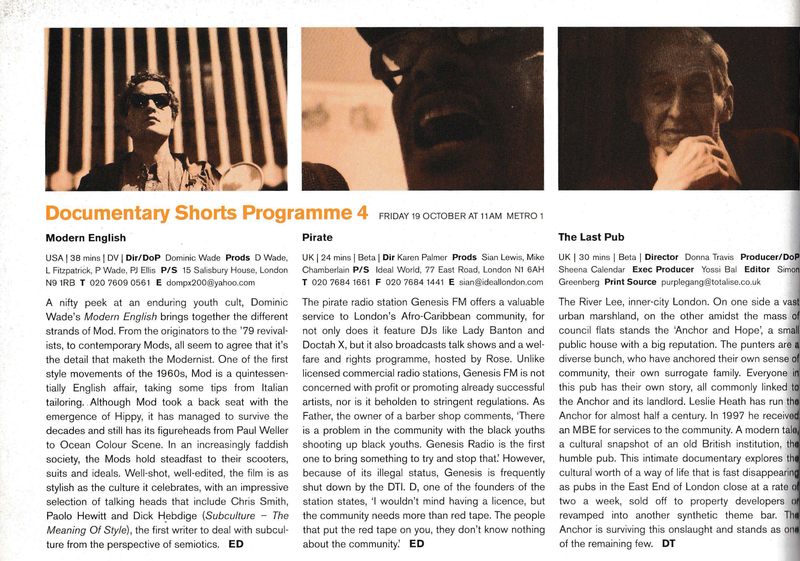 On the subject of Raindance, here’s the programme page for the Modern English screening there in October 2001. 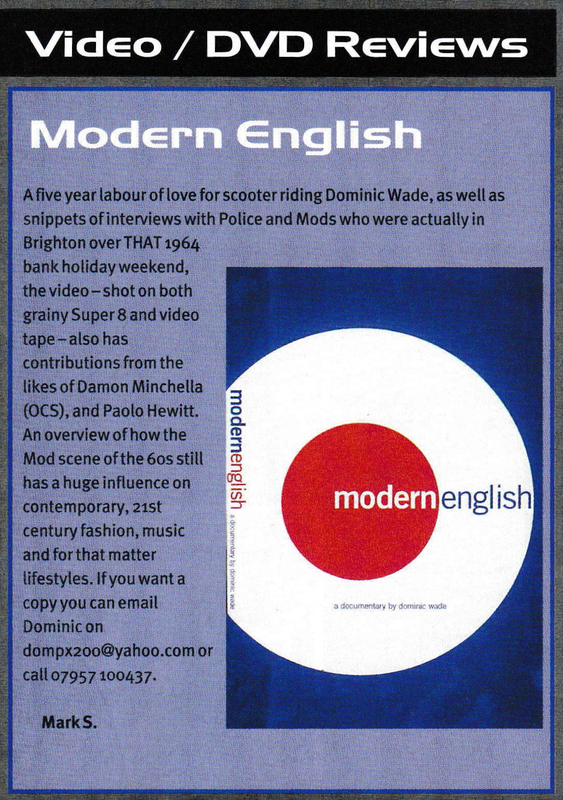 Scootering magazine gave Modern English a good review in August 2003.